Another weather change in the forecast! 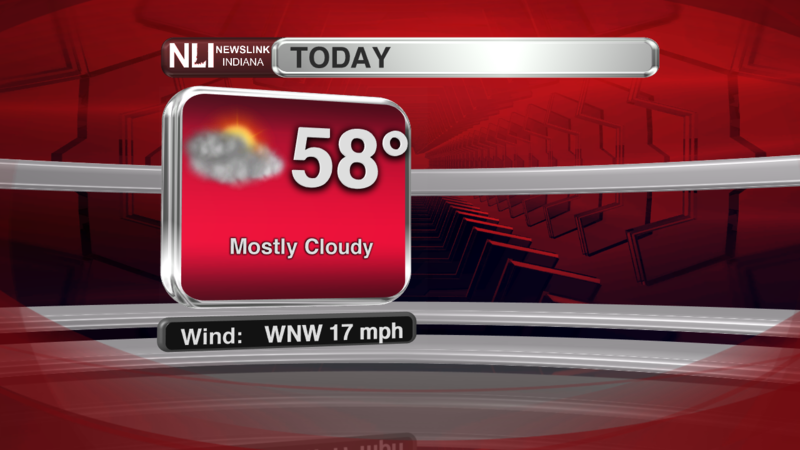 Today: Clouds will stick around the area for the most part this afternoon and evening. Showers will be possible this evening, but they are expected to be very isolated in nature, and should not result in much accumulation. Clouds should keep our temperature below the 60 degree mark this afternoon, but if we get a few peeks of sun, we might just be able to reach it. Winds will be gusty this afternoon, with gusts reaching around 20mph. 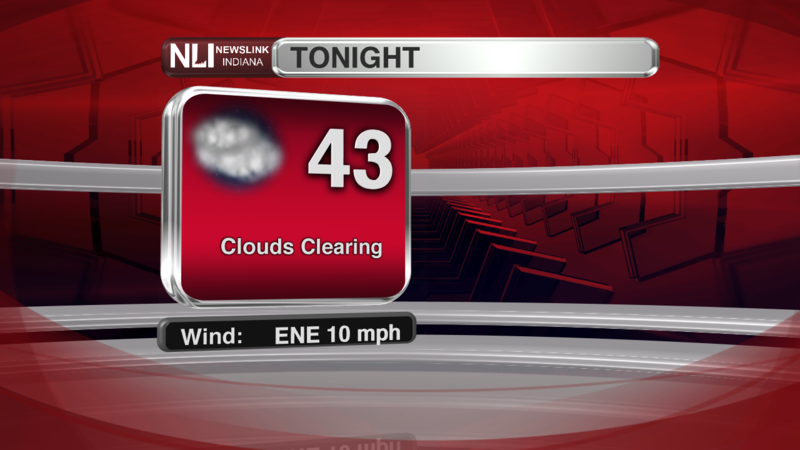 Tonight: Showers will end around the 6PM time frame, and clouds will begin clearing out of the region around the 9PM hour, leaving us with mostly clear skies as the night progresses. This will allow our temperatures to bottom out around 43 degrees. Wednesday: Clouds will begin to move back in tomorrow morning, and by 12PM we should be overcast. Showers and Thunderstorms will move in between 3-5PM, and will stick around for the rest of the day. A Slight Risk of severe weather has been issued for a majority of the State tomorrow, and an Enhanced Risk has been issued for the southeast portions of the viewing area. The main threats will be damaging winds, large hail, and an isolated tornado or two. Make sure to stay weather-aware tomorrow in case severe weather should strike. 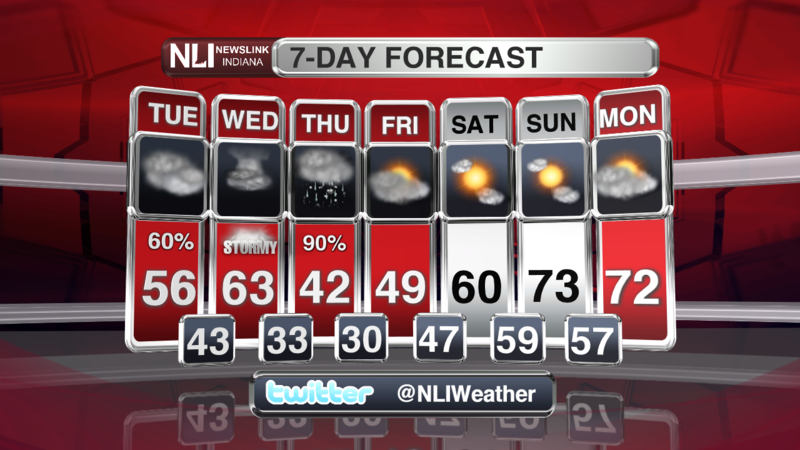 7-Day Forecast: We're in for another typical Indiana swing of weather - from severe storm chances tomorrow to a chance of flurries mixing in with rain for the start of the day on Thursday. 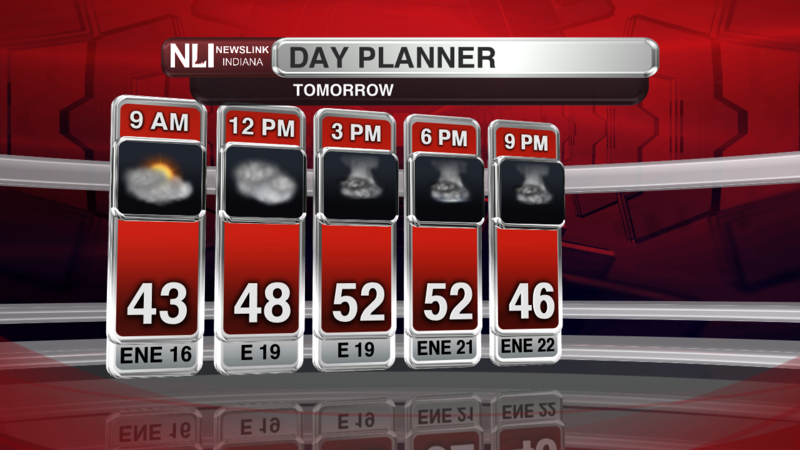 Precipitation should clear out of the area during Thursday afternoon, and we will stay dry for the most part after that. We have a brief cooldown on Thursday and Friday after the passage of the cold front tomorrow, but a beautiful warm-up will be in store for us this weekend, as we'll have Partly Cloudy skies and much warmer temperatures to kick off our week next week. Wow - 73 degrees on Sunday? Make sure to go outside and enjoy the weather!